As we are winding down this tour of Sioux City we only had a couple more places to check out. It was fine dining time and we made our stop at Bevs On The River, and like the name it was located right off the Interstate on the Missouri River. This is one of the fancier restaurants in the Sioux City area and you could tell right when you walked in looking around at all the detail. They had a great view of the river and had nice outdoor seating. 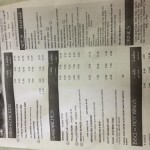 When it comes to fine dining it also brings higher priced items on the menu. They do have a variety of selections for their lunch specials at a low and decent rate. The service was a bit below average, but not much was messed up in our order and the food came out quick, she just took her time coming back to take our orders. When it came time to order there were a lot of appealing options, but I settled with the lunch special of the day. 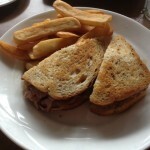 I ordered the prime rib sandwich melt with a side of fries. But before the sandwich came out some others in the group ordered appetizers. There was quite the variety anywhere from onion rings, to wings and spinach dip. It was all very delicious and came out quickly. I was not sure I would still have room for my meal. They took real pride in appearance, and the presentation was great. 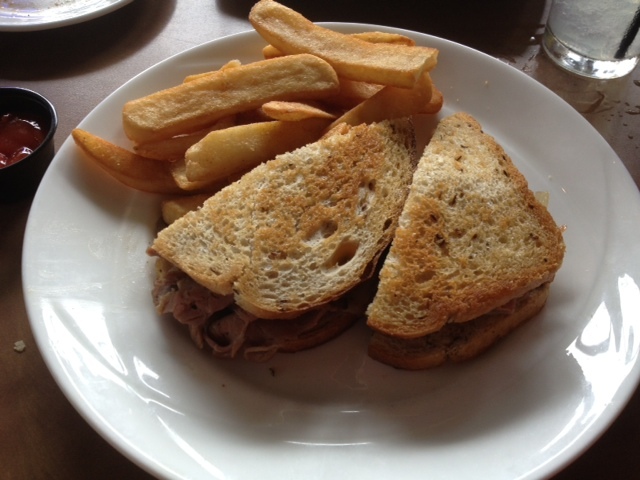 The sandwich had a pile of shaved prime rib topped with onions and cheese on toasted bread. The smell was great and you could hear the crunch of the bread on every bite. 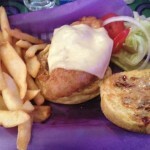 The meat was very tender and juicy, and the fries that came with it were crunchy and tasty. After I finished up the sandwich I did not think there would be room for dessert, but it was very hard to pass up a piece of cheesecake. Once the cheesecake arrived I was able to force those bites down even though I was full, it was too good to pass up. Overall though this is one fine place to eat at and if you do happen to go, dressing up would not hurt you. But the food and atmosphere was top of the line for Sioux City, even though the service was not top notch it did not ruin our meal, because we were all enjoying a nice meal by the river. 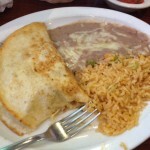 We went south of the border for lunch today, as our class ventured on over to El Tapatio, right on Gordon Drive. 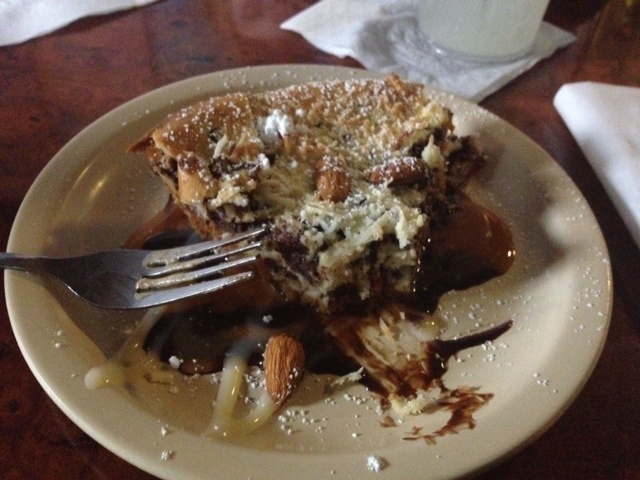 El Tapatio is an authentic Mexican restaurant that has quite the variety of food and beverages. They are known for their famous margaritas and burritos. The service was decent but was not over the top though. The atmosphere was great and you knew you were in a Mexican restaurant with the music playing in the background. For starters they brought out chips and salsa to tie you over till you get your main dish. The only complaint I had about that was they never came back to offer to refill our chips, as we all saw other tables getting refills. 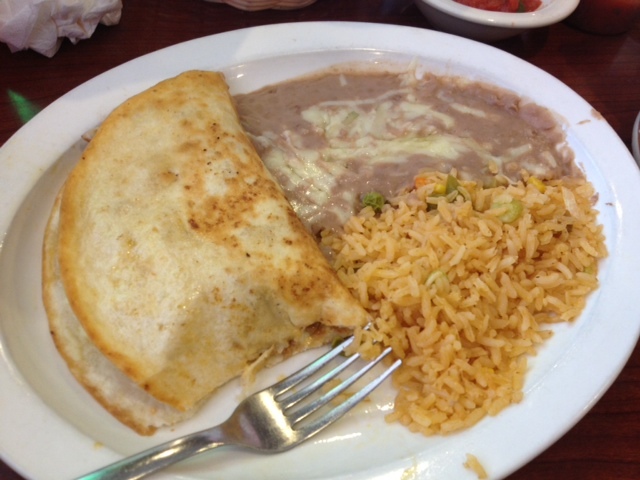 For my main dish I ordered the steak quesadilla with a side of beans and rice. When the food arrived it was quick and hot, like any other Mexican restaurant I have caught on to. They are all about getting you in and out quick. The smell of the quesadilla was fabulous and the taste was just as good as it smelled. The steak was very juicy and tender and had a good cheese blend mixed in. They did have daily specials on food and drinks. The Wednesday special was a burrito at a lower price, and they had 99 cent draws for beer. Which is pretty dang cheap for beer at a restaurant. Overall this was a surprise to me for Mexican food, I have been driving by this place for a while now wondering if its worth a darn to go in and eat. For anyone who has the same curiosity as I did you will be pleasantly surprised to find it is some really good food. For our third and final week, we made a stop to historic downtown fourth street to what I first thought was an art gallery with a coffee shop attached. So my first thought was why in the world did we got brought to an art gallery. What I found out was it was way more than an art gallery, they also have food to serve also. Their slogan is “An Art Gallery…And a Whole Lot More” which made a lot more sense once you walked in. It was a very unique atmosphere with art hanging all over the walls and had a cafe like feel to the whole place. Once we sat down we were given our menus to look at, and had a variety of different choices for food. Our waitress showed up for drink orders, and right off the bat our whole table got the vibe that she just really didn’t want to be there. She really didn’t know the menu at all or what anything was we asked for. This came as a surprise to all of us, and everyone at the table agreed that we were not off to that great of a start if the service was not too friendly to start. 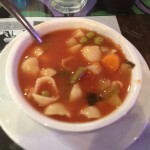 I ordered a bowl of minestrone for starters, which was their soup of the day. 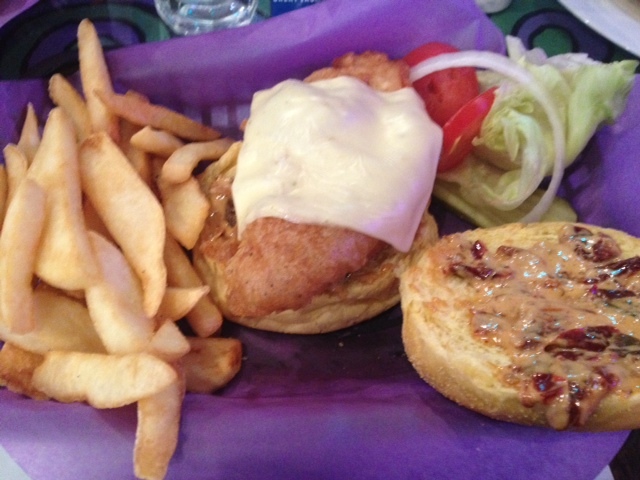 As for my meal I ordered the cajun chicken sandwich. 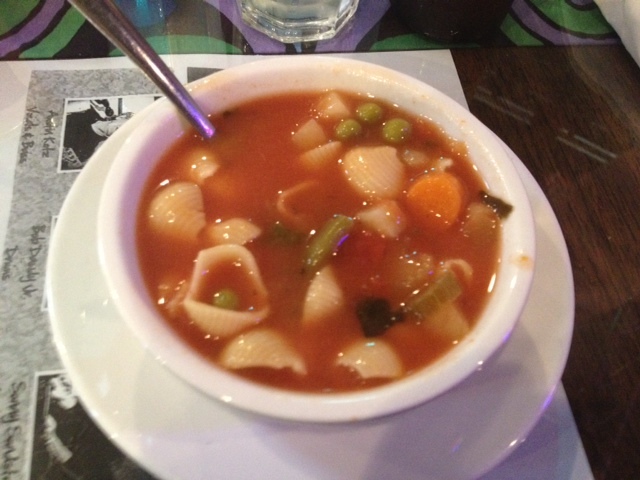 The soup came out right away and tasted delicious with a lot of flavor. 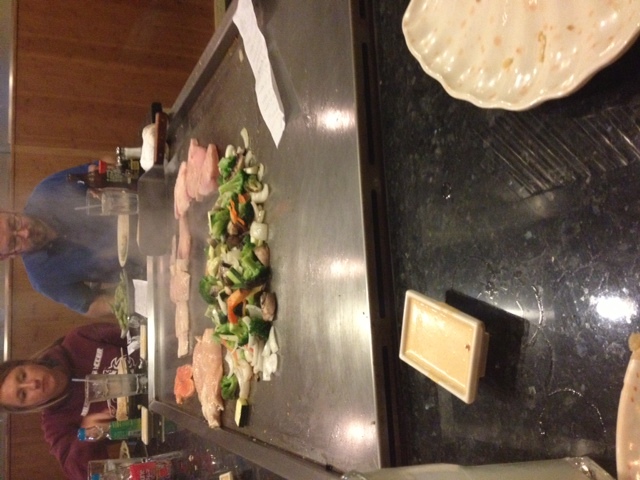 The rest of the food took a little longer but was understandable with the big group we had. When my sandwich arrived the smell was amazing and I could tell it had some kick to it off the smell. It looked like a thick and juicy piece of chicken with light breading. The taste was very delightful, it had quite the kick to it which I enjoyed, but if you are not a fan of spicy I would stay away from it. Overall, this unique restaurant that I had not heard of or known of really surprised me with their food and taste. Besides the service which was the only negative of the whole experience, this would be a great place to come back to for lunch or a nice evening meal. As we are coming to an end to week two we made our way downtown to an Italian restaurant that I’m sure not many of you know about. 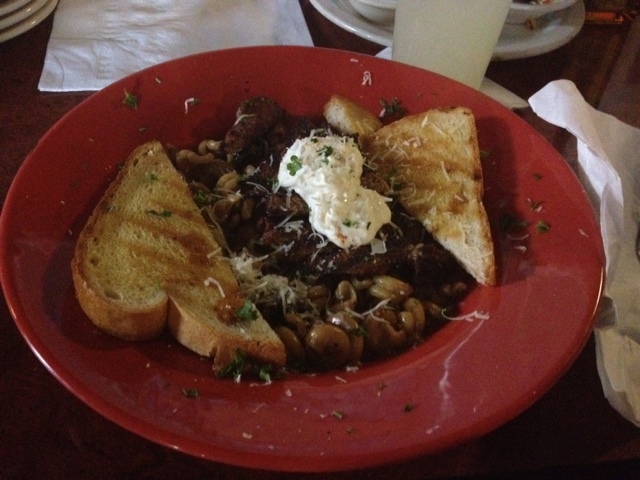 This authentic Italian restaurant is called Trattoria Fresco, which is located right off 5th and Jackson under a hotel. It is kind of hidden so may be hard to find unless you look hard for it. It is fairly new to the downtown area. I have ate at many great authentic Italian places in my life so I was really going to have to be wowed. When first entering the restaurant you find nice soothing Italian music playing, and dining at its finest. You couldn’t wear gym shorts and a cut off in this place, dressing nice is highly recommended. It was right up there for the fanciest restaurant we have ate at so far. When first looking at the menu, I myself could not pronounce half the words, luckily the descriptions were described in a way I could understand what I was ordering. 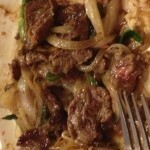 The service was very polite and were very good. 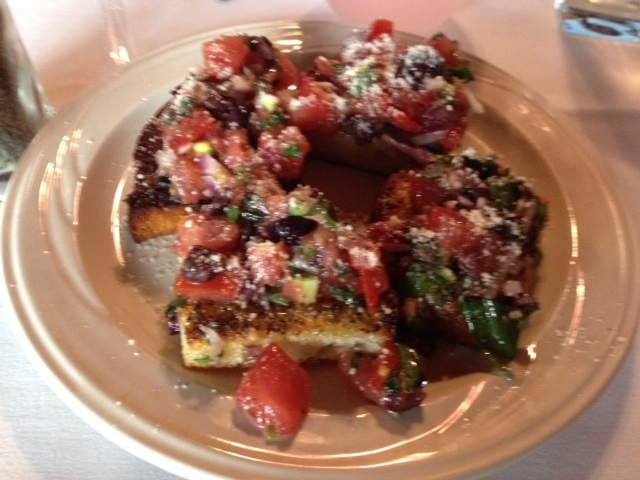 For an appetizer we ordered bruschetta. 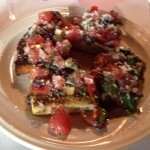 It was a very refreshing appetizer that was a piece of toasted bread, topped with tomatoes and other types of cheeses. 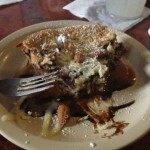 It was very crunchy and not too filling, so I still had room for my main dish. 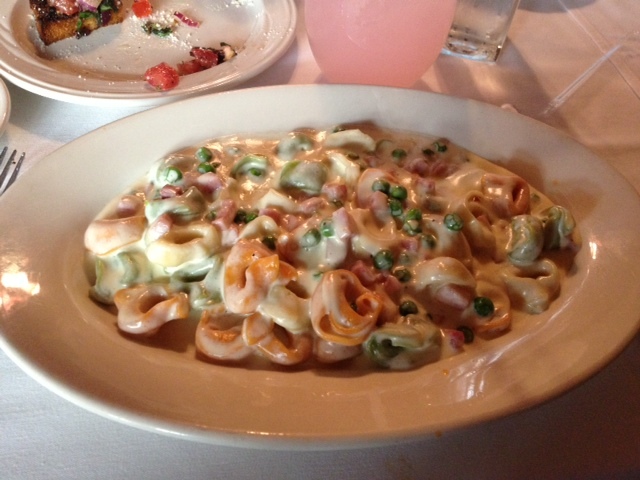 For my main dish I ordered Tortellini with ham and peas mixed into it. When it arrived at the table, I saw a very colorful dish with different colors of tortellini noodles that were filled with cheese. The smell was great and you could smell it coming from the kitchen. 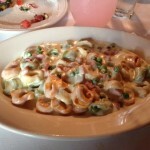 I have had some good tortellini in the past so it had a lot to live up to. And live up to it did, the taste was outstanding, it had great texture. Now if it was the best I have had, I wouldn’t go that far, but it certainly was the best I have had in Sioux CIty. 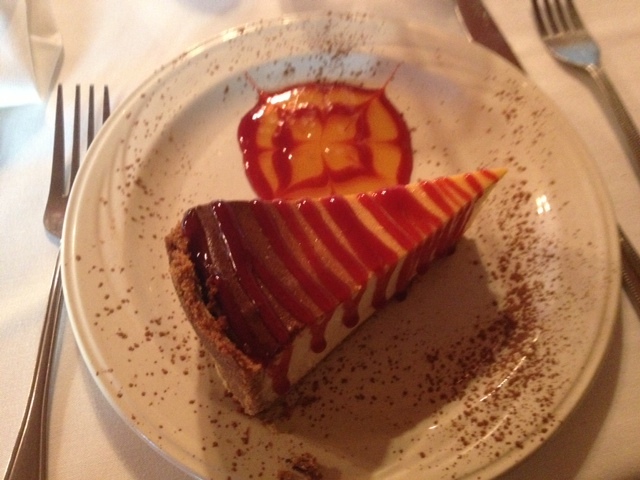 For desert I was able to put down a piece of their New York Cheesecake. I was very impressed with the presentation of this, and the taste was pretty darn good as well. But they really took pride in how each meal was presented which I give them two thumbs up for because they are not many restaurants in Sioux City who go all out on presentation. In the end of it all I would have to say this is one of the better Italian places I have ate at in Sioux City, and could definitely make my way back down there. As we were continuing our streak this week by hitting every major country and their ethnic food, we made it all the way to Diamond Thai. 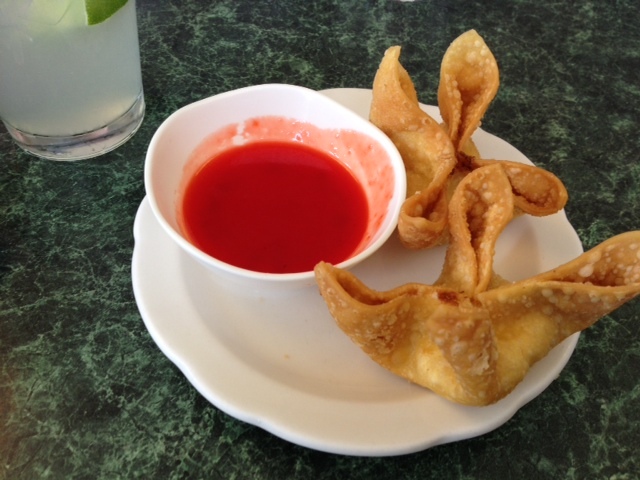 Located off 7th and Hamilton, Diamond Thai is the most authentic Thai food you can find in Sioux City. From the outside you walk up thinking where in the World are we and look at this dump. But once inside you come to find a nice. cozy, and relaxing restaurant with many unique features around the place to make you feel as if you were actually in Thailand. Thailand has their own unique types of blends of food, most are known to be spicy. So if you are a fan of spicy food this will be right up your alley. 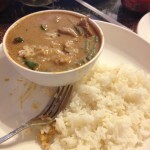 They also do have milder dishes for those who do not enjoy the spicier foods. I can handle spicy foods so I was not too worried about ordering anything too hot. The menu had many items on it which made it difficult for me, also being there for the first time, to make a decision on what to order. One of the main dishes to order there was their curry. They had a few different selections on types such as red, green, yellow. Not really sure what the differences were in any of them. 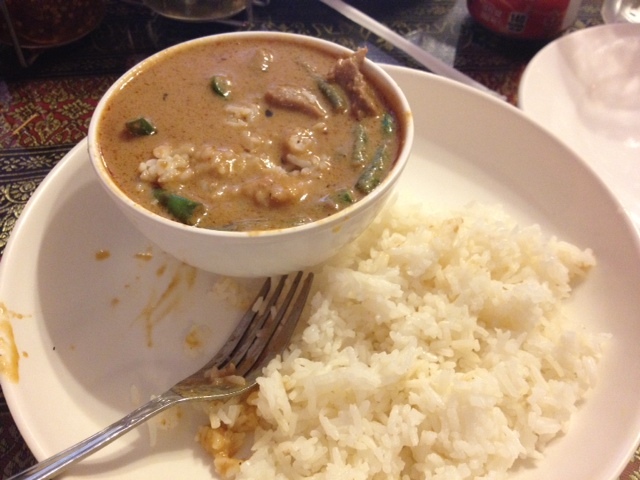 I selected the first choice of curry, and ordered it with beef. You could also get the choices of chicken or pork. Once the meal arrived, I was presented with a bowl full of a soupy like substance with vegetables and beef mixed in, you also received that with a side of rice. I added the rice in to the bowl to get more texture, instead of eating straight soup. The first few bites were pretty good and not too spicy, but I found that the further I dug into it, the hotness caught up to me and was almost too much to handle. It was too good to just stop eating it, but it definitely caught up to me. The service was great like each place we have been, not sure if its because were the only ones in the restaurant that early but they are there to tend to your every need. 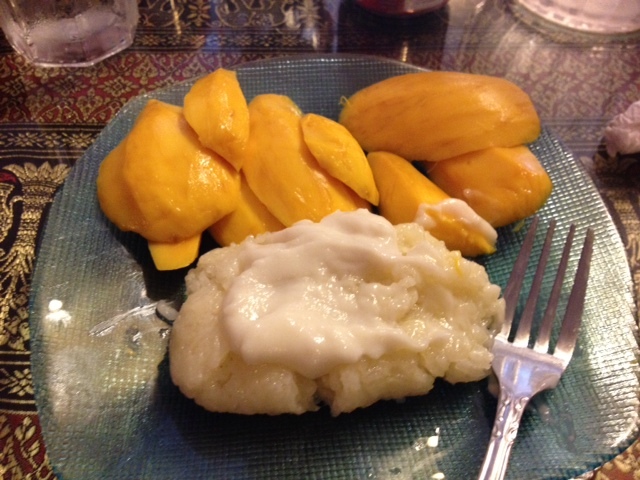 For desert, I ordered their house special of mangos with sticky rice. It was my first time eating mangos, and come to find out they are not that bad. 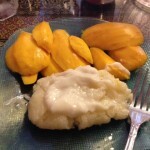 The sticky rice was warm with a coconut topping which it all blended in for great flavor. Overall this was a great experience tasting something new, I would go back again and recommend it to anyone who is up for trying something new. It was the start of week two of this three week tour of Sioux City, and Mondays stop brought us to a familiar spot of town from last week. We made it up to a Vietnamese restaurant off 7th and Hamilton, called Da Kao. This restaurant was located no more than a hop, skip and a jump away form Red Bones, which is where we visited for lunch last week. The appearance of the place was not flashy or glamorous but once you get inside you find yourself a typical looking Chinese or Vietnamese restaurant. The service was on top of their game once they saw us walk in, the food came out about as fast as they talked. The menu however made me feel like I was reading a textbook that professor Elder required of us, I’m just hoping for no quiz on it. 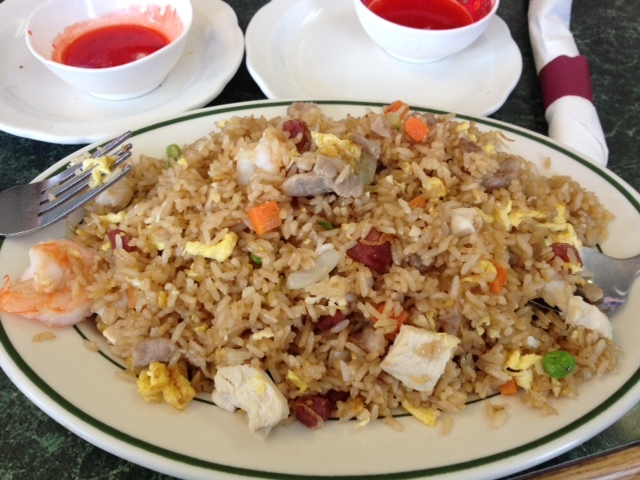 After making it through the menu, I finally narrowed it down to combination fried rice with Vietnamese sausage. It had its own unique name that I did not even begin to try to butcher to the waiter. 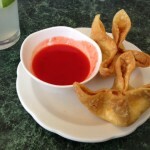 Along with that I ordered a couple appetizers, one egg roll and two crab rangoon. I washed that all down with their freshly squeezed lemonade. As for the price of this all, you could walk in there with a five dollar bill and come out stuffed. Once the food arrived, it sure was what I was expecting. Looked just like Chinese food I would get at any restaurant that served that. The smell of mine was very intriguing compared to others in the class that made me almost want to backhand them for bringing that smell to the table. Each bite had its own unique flavors, some good and some not so good. Overall though the taste was good, but what really surprised me was their homemade lemonade. It was definitely some of the better tasting lemonade I have had lately. Vietnamese food is really interesting and unique, I kept it on the safer side when ordering. Looking at others meals was very interesting, a lot of the others got the common Vietnamese dish called pho, which is a dish consisting of broth, noodles, and variety of meats. I think if I go back again I would have to give that a try. 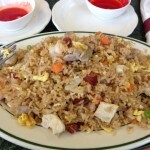 Overall, Da Kao was a different change of pace compared to what we have been eating. 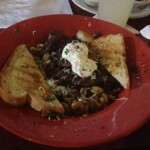 Overall the food and service was good. Its always good to get out there and try something out of the ordinary, you’ll never know if you like it till you try it. 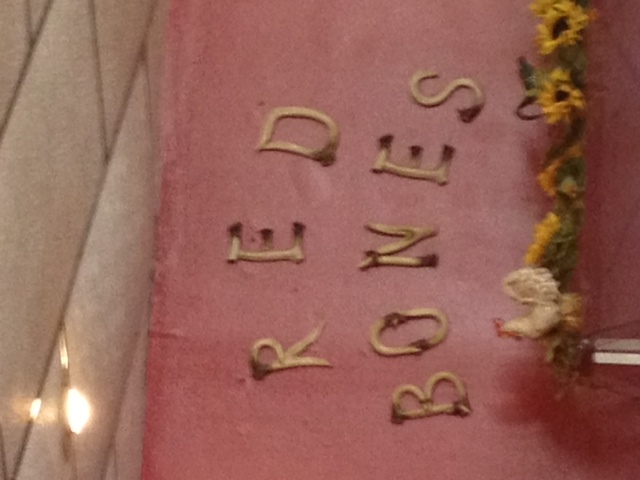 When I was told our class was eating at Red Bones, I think everyone may of had the same opinion as me. What in the world is Red Bones? 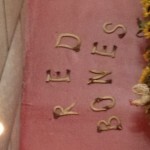 Red Bones is a family owned restaurant up north just off 7th and Hamilton. 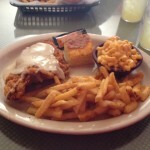 They are a new soul food restaurant that is known for their chicken, and what I found out was their catfish. When arriving at the restaurant it had a rough exterior which gave the place some good character. It was a seat yourself place, but there was not that much seating, so it could fill up fast. 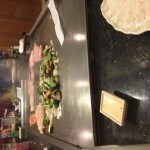 The service was very friendly and were right there if we needed anything. The menu was one-sided and was very simple and right to the point. Everything was reasonably priced for a nice meal. I asked the waitress what she recommended since I was new to the whole soul food scene. She recommended either the catfish, burger, or chicken. So I picked her brain some more and she kept saying it’s all good. Which made me think either she eats a lot or she was just saying it’s good to make me hurry up and order. 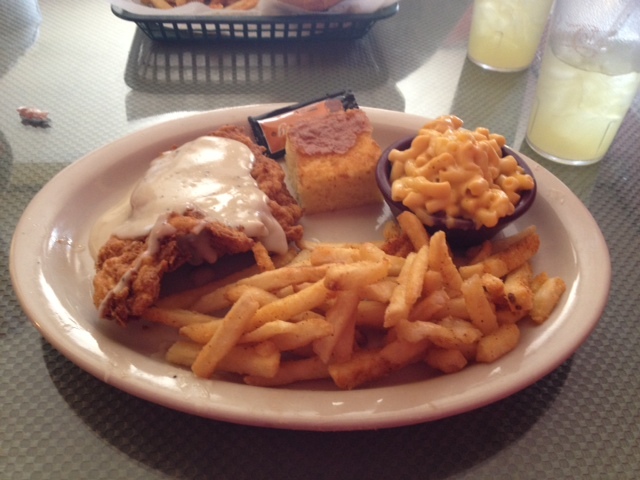 I decided to go with the chicken fried chicken, for my sides I got mac and cheese, and my other side was their homemade fries. Upon first appearance I was expecting a much bigger portion of each of the three. But after digging into the chicken it was much thicker than expected. It was a homemade breading and one juicy piece of chicken. The homemade fries were some of the best tasting fries I have had in a while. My other side dish which was mac and cheese, was also homemade and was very delicious. It was not your typical Kraft Mac-n-cheese. Based off looking at everyone elses food, I don’t think you could go too wrong with anything on the menu. To sum up Red Bones, my first time experience was above and beyond what my expectations were. If i was to go back again I would definitely try the catfish. But If you are looking for a new place in town to go eat and want to get some good soul food in you without going to far out of your way, then go no further than up on 7th and Hamilton at Red Bones Cafe. 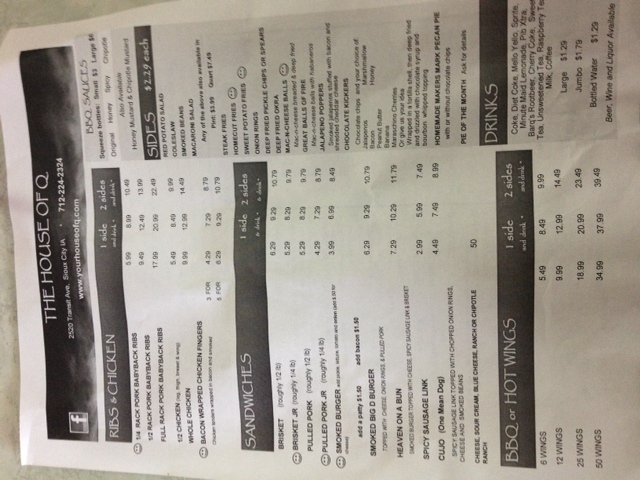 The House of Q has been named one of Siouxlands best places to get BBQ around the area. While there are not many non-chain BBQ restaurants in Sioux City, The House of Q is one place you must eat at if ever in the area. If you are not from the area you might have some trouble finding the place, they are tucked back behind a large furniture store. So unless you know the area well you could be driving past it all this time and not know what you are missing out on. 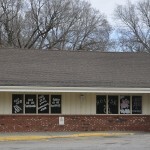 Posted below is an outside shot of the restaurant in case you need to know what you are looking for. Once inside you are greeted by a friendly staff that is all about customer service. They made sure we all knew where the menus were located, the specials of the day and how and where to order. They had plenty of space for seating. This would be a great place to take a family or team after a game or just a night out for dinner. They had a very simple menu that was strictly BBQ, so if you were coming for something else this probably is not the place for you. While looking at the menu, deciding what I was going to get was a difficult decision. But I saw smiley faces next to some of the items on the menu, which I assumed meant they were favorites by the restaurant and customers. 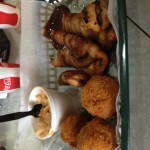 So I decided to go with the bacon wrapped chicken fingers, which was on of the house favorites. I got five chicken strips with two sides and a drink for $10.79. They also had quite the variety with side dish choices which was nice so you could mix and match how you wanted. 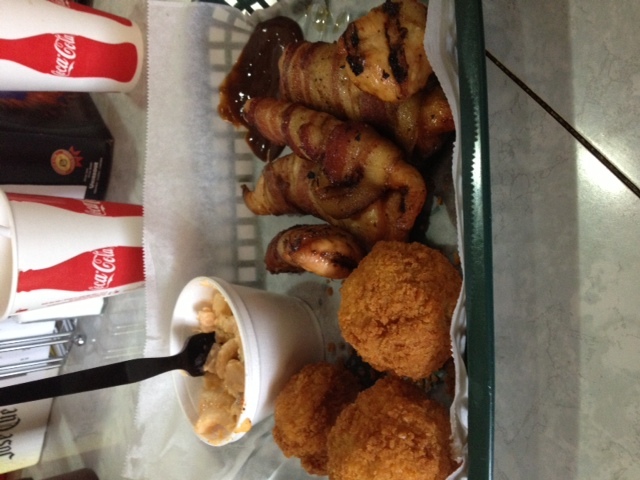 The two sides I selected were the mac-n-cheese balls, and macaroni salad. The one thing that stood out to me was how fast we got our food, and how fresh it was. I was very impressed with that. 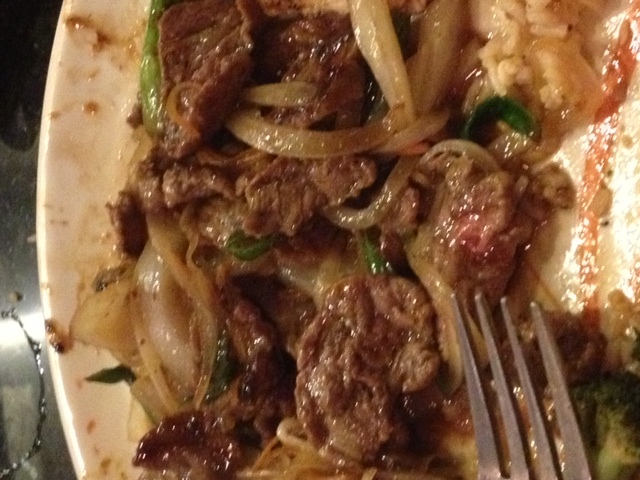 Overall, by the end of the meal I was uncomfortably stuffed, which was not a bad thing. But you better come hungry to the BBQ joint. 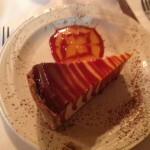 The service was top notch and they catered to our every need. The atmosphere was very homey and made you feel like you were at home eating some BBQ. If you are looking for a great place for BBQ look no further than right around the corner in the Morningisde area, at House of Q.